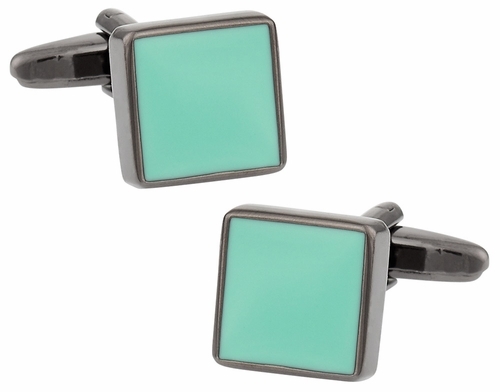 We had a tough time determining the color of these cool gunmetal cufflinks. We wondered if they were aqua or turquoise, but decided they were aquamarine. The contrast off the gunmetal base is so striking making them a worthy addition to your collection. These cufflinks arrive in a handsome gift box like all of our designs.